My First Term of Building at Highbury Grove. Highbury Grove. Glorious diversity and Big Ambitions. It’s been a while since I had the energy and clarity of thought needed to write a blog post. This job is all-consuming in a way I’ve never quite experienced before and, as the term has progressed, I haven’t had the capacity for anything more. Yesterday, after the final assemblies, the ritual staff gathering and our Secret Santa, I sat in my office chair…. and 90 minutes later woke up in an empty school. Flat out. I’m tired but I’m not complaining. In fact, I can honestly say that this has been the most fulfilling term in my professional life; an intense whirlwind of activity forming new relationships, solving interesting problems, building foundations and dreaming dreams. In many ways, the theme of the term has been ‘building’; surveying the landscape and laying foundations for the future; preparing the ground. To be fair, despite being the third new Head in three years, the foundations were already pretty strong: a strong set of leading governors, a large cohort of super-supportive parents, a new building, an amazing music programme and lots of very dedicated and capable staff. Although we have a high number of relatively new teachers – 16 Teach First and NQT trainees this year alone – there is a strong ITT programme to support them and a positive staff spirit. The RAISEOnline report also tells the story of a school that has been doing really well with disadvantaged students. Despite problematic headline figures in the summer (%5A*-CEM dropped from 63% to 45%), RAISE shows that the school is still ‘Sig +’ for value-added, with FSM students out-performing non-FSM students nationally in terms of the overall VA score. To some extent this has been underpinned by remarkable GCSE English outcomes that, for the last time, included strong speaking and listening scores; it will be interesting to see how we do next year without that element to lift things. However, with a strongly rising ability profile year-on-year (based on KS2 levels on entry) and high demand for places in Year 7, we’re in very good shape. I’m fortunate to have inherited such a strong platform for the next phase of the school’s development. An effective leadership Team: A priority has been to establish the strengths and motivations of each person in the team, exploring the team dynamics and building relationships, setting the tone for how we operate and how we present to others – not shouting, not telling people off, doing things thoroughly, being on time. Mainly, I’ve been trying to give everyone a clear role with the authority to drive things in their areas and we’ve been developing ways to use our meetings to balance strategic thinking with operational detail. The solution seems to be to dedicate certain meetings to the strategy free from the clutter of detail that can drag you down if you let it. A major feature of the term has been recruiting a new Deputy Head to lead our Sixth Form development. I’m thrilled with the outcome although we have to wait until September for our new recruit to join us in earnest. We had 30 strong applicants; 8 were short-listed and the final three were all excellent. I couldn’t be happier with how this went. An agenda for learning: This has been very exciting. I am just over half way through a programme of observations with the aim of seeing all 97 teachers in action for a whole lesson before Easter. The lessons and feedback sessions have been my personal highlight of the term. I just love doing it. There is a lot of excellent practice and some clear common areas to develop. I’ve inherited a culture which was rather too top-down with various check lists and a strong OfSTED-orientation. 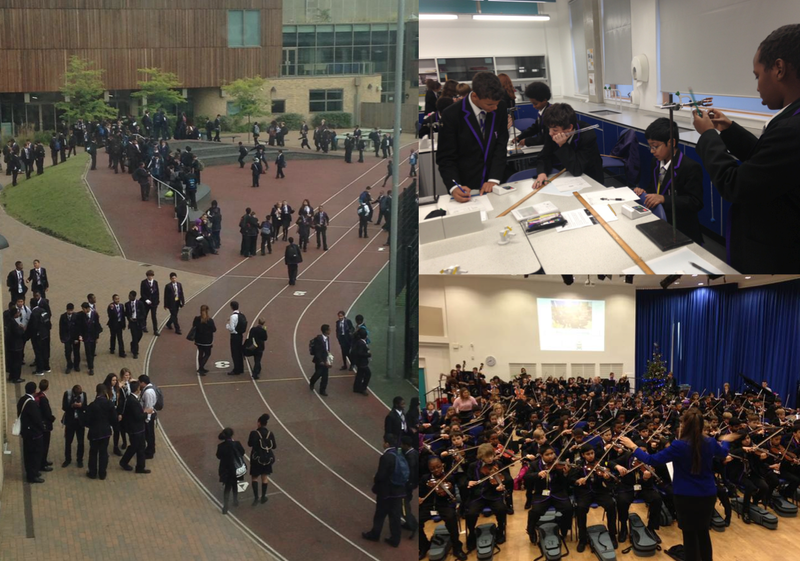 We’ve now launched a process to reverse that – to build a Highbury Grove vision for learning bottom-up, using all of our INSET time for the rest of the year. Trivium for All. An excellent investment. 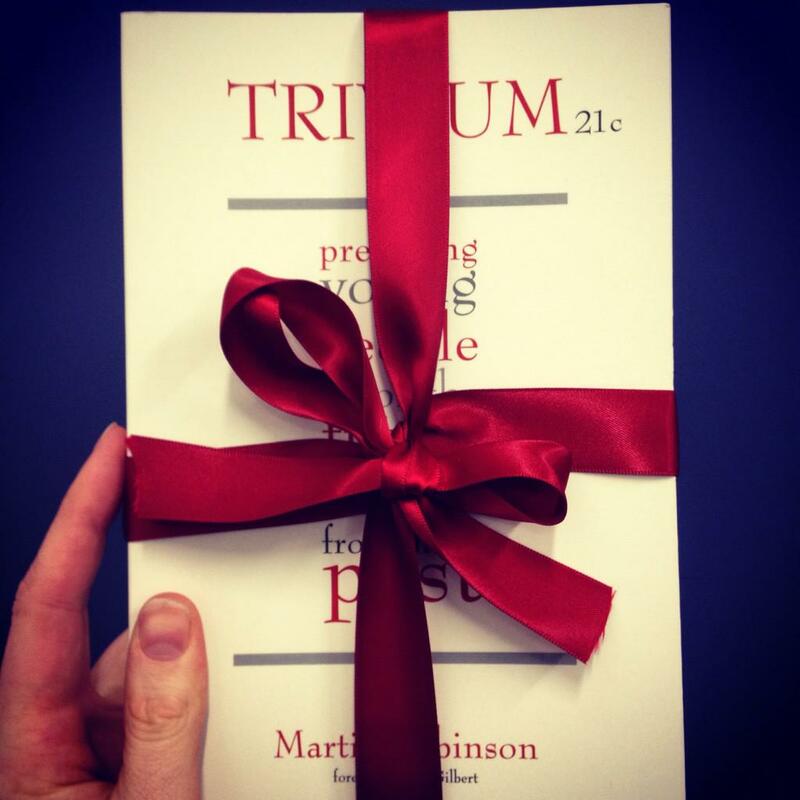 We ended the term with a superb twilight session last Wednesday where we gave everyone a copy of Martin Robinson’s Trivium 21st C and, with the help of Martin himself, we ran a carousel of sessions on Grammar, Dialectic and Rhetoric. Martin is going to work with us as a consultant, lending his support as we take this process forward over the next six months. I’m hoping that, with the language and conceptual rigour of Trivium 21st C widely understood, we’ll have a strong basis to develop something deep and strong. I’ve also had the opportunity to enlist the support of Charlie Leadbeater, one of the school’s parents. I arranged a meeting with Charlie and Martin that turned out to be quite inspirational for all of us. Adding to the core Trivium concepts – knowing, questioning and communicating – Charlie proposed making, collaborating and persevering as contenders for some underlying principles. It’s all up for discussion now but with all of this support and inspiration, we can’t go too far wrong. A new curriculum and a real Baccalaureate: It was an early task to launch a full curriculum review, lead by a working party. We’ve already produced a proposal for September 2015 that takes account of numerous views and demands for curriculum time. This will be the framework within which our Trivium-driven pedagogy sits. We’ll be consulting parents next term and then putting the whole thing in motion: more time for music, computing and languages; specialist History and Geography; enrichment for all; some options in Year 9 and a good balance of arts and core subjects. We’re heading for an ‘Ebacc for All’ model at KS4. My challenge to everyone in the consultation is that, if they see a problem, they need to propose a better solution. That helps to clear people’s minds when they simply want more time for their subject; they question is – instead of what? In parallel with our internal discussions about a Bacc-style curriculum offer for our Sixth Form from 2015, I was delighted to have pulled in the key players needed to make our Heads’ Roundtable National Baccalaureate Summit a success. We’re now poised to make this whole thing happen nationally. We’ve got a strategy meeting on January 6th and then we should be able to set up a National Baccalaureate Trust (or something like that) and get things moving. I’m now quite positive that we’ll have established a fully accredited National Bacc framework within the next year. For Highbury Grove, we’re moving forward regardless. This has included setting up the opportunity to take all of our Y12s on an Outward Bound course (for free) and to include the EPQ as standard in the curriculum; we’re serious about making this happen. Primary Partnerships: I’m not sure if building bridges or knocking down walls is the most appropriate metaphor but this term we got started. I visited nine primary schools and held three key meetings at my school. One was a gathering of the Heads of some key feeder schools; the other two were ‘Transition Forums’ for English and Maths. Subject coordinators from the primaries met with me and some key members of my English and Maths departments to talk about transition, standards, pedagogy and curriculum. There is so much to learn from doing this – I could write a huge blog on each area. I am hoping to move beyond these initial exchanges to create an ongoing process of dialogue where we’re looking at books, at schemes of work and resources so that everyone concerned has detailed current knowledge of the experience our students have on the other side of the KS2-KS3 wall. A new KS3 assessment regime: I took a snap decision just before our first interim reports, that we needed to pull all National Curriculum levels from reports – even though we don’t yet have a replacement. I didn’t want to perpetuate the nonsense of it any longer. We’ve devised a simple set of progress grades as an interim with a view to having a coherent assessment regime in place for September. The main element of this will be a rubric for each subject in each KS3 year that will allow teachers, students and parents to measure progress relative to their starting point with some objectivity. At a parents’ forum last month we explained the thinking and received some very positive feedback. The beauty of it lies in allowing each department to use authentic assessment methods without needing to conform to an externally imposed system for the sake of the illusion of parity between standards in different areas. A high-trust professional culture : I’d be a fool to suggest that I’ve cracked this already but I am actually very pleased with the progress we’ve been making. From the beginning, removing lesson grades and giving developmental feedback has had a powerful impact – as described in this popular ‘Lesson Observations Unchained’ post. We’ve been trying to run a ‘zero cover’ approach and have changed the focus of appraisal away from individual targets for student outcomes to targets for CPD and collective responsibility for outcomes. That requires a culture change but one that I think will pay dividends. I want my school to feel like THE place to be – and we’re getting things in place to make that happen. I hope. I’ve found that staff have been hugely committed to the opportunities for engagement in strategic thinking through voluntary working Parties. We’ve established four: Curriculum, Sixth Form, Behaviour and IT. Each one has been well attended by a cross-section of staff. We’ve also joined NTEN and run the first couple of sessions on lesson study and research methodology as part of our goal to establish a research-engaged culture. It was initially disappointing not to be included as a Treatment School in the Huntington RISE project, but we’re committed to pressing ahead anyway. An effective Parents’ Forum : We’ve held two so far and each has been hugely influential. The first was a big open house session which over 160 people attended. Parents generated pages of ideas – things they love and things they’d like to change. This input has helped to shape our curriculum proposal amongst other things. The second forum with 80 parents focused on assessment and behaviour. Having launched our new Behaviour for Learning system, we wanted to give parents an opportunity to share their views. I thought it would be helpful to diffuse the need for people to air major grievances by sharing some of the views I’d already received (it’s Orwellian; draconian; punitive; inhumane….) alongside some of the positive benefits: punctuality and behaviour have never been better; teachers have never felt so in control of their classes. We talked about the nature of detentions (Could they be shorter? Could students read or do homework? Could more warnings be given?) and various other features of the system. Some voices wanted a softening; some wanted us to hold firm. It was all very useful. In general, I’ve found parental feedback to be hugely important this term. Any parent who suggests their child isn’t being stretched enough is telling me something I need to know and need to act on. With so many new, young staff, this requires some sensitivity but it’s all part of building a culture where parents trust us and we’re genuinely a listening, responsive school. Of course there have been some difficult exchanges, usually surrounding perceived injustice around school sanctions, and we’ve spent a lot of time trying to improve our communications around behaviour to allow parents to engage with what we’re doing; it’s an ongoing building process. The overwhelming feedback from parents has been that they love what we’re doing which is very encouraging; clearly the channels need to be wide open to hear messages of all kinds. I think that’s enough of a flavour. There’s much more – including our plans for music which plays a strong role in the school. Panorama of our full KS3 performance. 600 musicians in one place. Thanks to everyone who has supported me in my first term. I need a few lie-ins but, come January 5th, I’ll be back in overdrive mode, ready for another term of building. It feels good to be on a mission. Link: Interview with Melissa Benn and Francis Gilbert for Local Schools Network. Fascinating to read, Tom – and many congratulations on all you and your team have built this term. I hope you DO manage to switch off properly for some of the holiday, at least, and just enjoy the company of family and friends, and spend time on your interests beyond school, so that you’re able to start the new term refreshed and reinvigorated in January. A fantastic read Tom. What an amazing journey you are on at Highbury Grove. Thank you for sharing. Thanks! Much appreciated. It’s really very exciting. Lencioni model in action … Nice one Tom. Intense start…sounds like you’ve managed to create a constructive buzz; which I suspect is key to maintain momentum. I’m interested in the key differences between Highgrove and KEGS…..from your perspective of leading…and how this experience has changed your perceptions on education? That’s a good question – I’ll need to write something about that. Things are more similar than different; KEGS prepared me for this in lots of ways but there are new challenges that don’t have any parallel. I’ll need to explore this further. Best wishes. . It reads as if you are driving in an exciting direction. I am interested in your NC free assessments as most practitioners in our field are quite lost at the modem and are delaying the inevitable! Congratulations Tom. That’s what you call an all action first term. I look forward to reading how your many innovative implementations develop. Have a good Christmas. Thanks Tom…I’m sure you know that your blogs have had impact way beyond your immediate sphere of influence. We are pressing ahead with GCSE grading years 7 – 11 here at Rye College – it’s making sense for all stakeholders here. Grading Year 7 English (writing) at B in Term 2 focuses the mind somewhat! I’m excited to see someone leading the integration of Trivium into a school in such a direct way… keep us posted! I’ve been running a lunchtime debating club for a few years… let me know if you need anything on that – I’m sure that it would fit really well if you haven’t got anything going in that sphere at Highgrove yet. Happy Christmas!